For some people the decision to go into law enforcement is a no-brainer because it’s the family business. “I think it started when I was one. Because my dad was the very first Chief of Police of Pinesdale where I grew up,” Gordy Jessop told reporters. The second apple didn’t fall too far from the Dad tree either. Gordy’s brother Ross is also a cop at the same agency. The Missoula County Sheriff’s deputies come from a long and proud law enforcement tradition and now they’re working out of the same shop. “It’s the best job I’ve ever had in law enforcement. 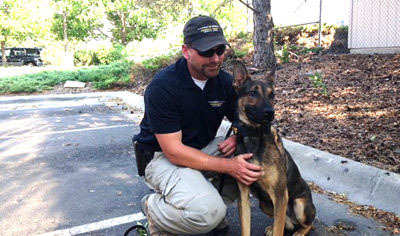 My ultimate goal early was to be a street sergeant and that’s changed now,” Ross said about working with K-9s. Anyway, meet the impressive Jessop Bothers.